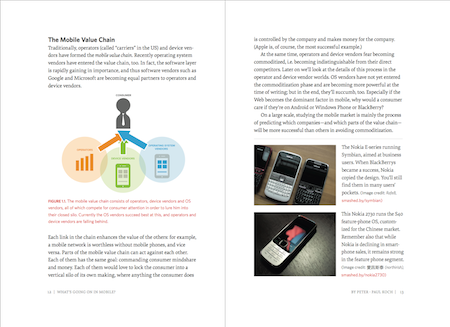 I just spend some time to read myself into the “Mobile Book” by Smashing Magazine and here are my first impressions. 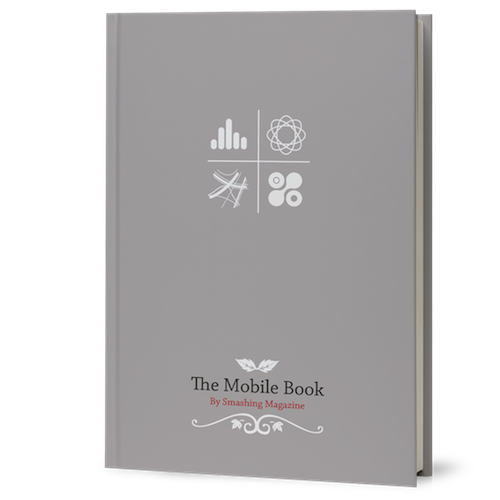 The book feels overall very rounded and does a great job in covering all the aspects of mobile development. All of the look and feel things, intended audience and other info is covered in a lovely Mobile book factsheet for the press in case you are interested in that. I read the chapters I wanted on my Macbook Air and on my Android device and in both cases they were beautifully done and easy to take in. I especially like the fact that the book covers mobile in a holistic sense, giving us a great overview of the market with PPK’s chapter and diving into the different skills needed in detail chapters. I also like that it is platform agnostic, meaning that what you learn in it is applicable across the board. Far too many publications are more or less veiled “here is how to do mobile for iOS” instructions which will be outdated in half a year tops. The information here is written cleverly and whilst it is a snapshot of the current situation it is written in a way that explains what can be used later and what might just be an issue for now and not worth us wrecking our brains over. I haven’t read the extra chapter, which is a shame as – biased as I am towards HTML5 - I’d have loved to see Remy’s chapter as part of the main book. I am totally fine getting Android, iOS and Windows specific data as a nice to have, but a real HTML5 chapter would have been good. That said, Dave Olson’s chapter was quite a revelation to me – its title doesn’t give it enough credit. 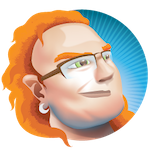 There is information in there that can make you hit the ground running optimising your web product and it leaves you with links and articles to dive into that can keep you busy for months. It crammed a bit much in and could be a book in itself, but it is well worth your time. In general I think this book is a great addition for a company or agency library. As a specialist, it can leave you with a few chapters that are very much beyond your reach and can leave you with dangerous “knowledge” but a team reading the applicable chapters and then pooling their knowledge and learnings can use this book to go into the mobile future kicking and screaming. And kicking arse.